Activision has confirmed that Call of Duty: Modern Warfare Remastered will launch as a standalone disc/download product on the PlayStation 4 tomorrow, Tuesday, 27th June. The release of this standalone version of the Remaster has been rumoured for some time. It was originally launched last year as an exclusive bonus for buyers of the £69.99 Call of Duty: Infinite Warfare Legacy Edition. 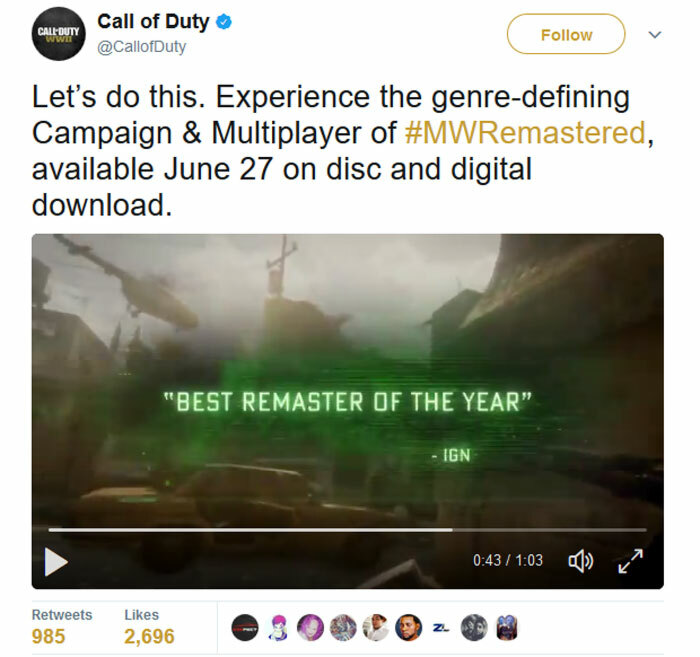 At that time Activision asserted that Call of Duty: Modern Warfare Remastered would not be sold separately. 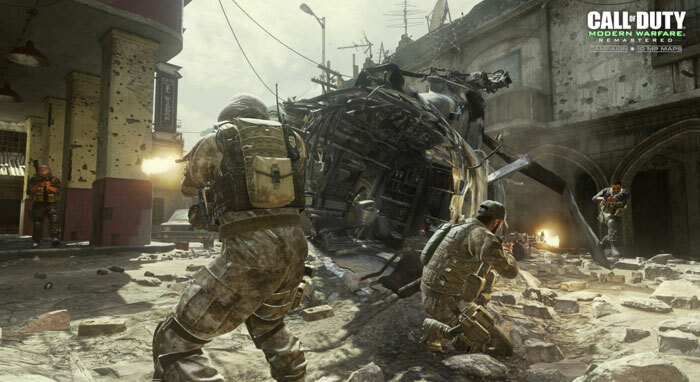 At the unveiling of Call of Duty: Modern Warfare Remastered last year, Activision publishing chief Eric Hirshberg said "Call of Duty: Modern Warfare Remastered is one of the most beloved games of all-time, reborn for a new generation." He added that "We have lovingly remastered it with a whole new level of graphical fidelity and realism that wasn't possible when the original was released. It's going to be a great year for Call of Duty players." Some CoD fans have been waiting very patiently for this standalone release, though as time passed it looked like it really might not be happening… MCV reports that the game will cost PS4 users $39.99, with an extra £12 required to get the Variety Map Pack DLC. Activision hasn't provided any details on the release of Call of Duty: Modern Warfare Remastered on platforms other than the PS4. All it says is that the 27th June release is "first on PS4". Of course that implies it will be released at a later date on the other platforms where it is available as a Call of Duty: Infinite Warfare Legacy Edition 'exclusive' - the PC and Xbox One. To my knowledge they never released mod tools or dedicated servers for the remaster. The game does look nicer for sure, but to me it doesn't justify paying what I assume will be £30 for what will in effect be a downgrade IMO over the original game. Its unfortunate that the original call of duty 4 is suffering in playerbase now, remains to be seen whether this will be a boon to it or a final nail in the coffin. Also as has been pointed out elsewhere on Hexus already, the cheek of still selling the the older games including call of duty 4 for £10 on a steam sale. On a positive note though, glad theyre dropping the infinite warfare side of things, this game will do better on its own feet I think. Meh - Picked up infinite warfare for a £10 (without this). No idea why someone would pay this much for a remaster… Quite enjoyed the campaign for IW to be honest. Wait… so… a ten year old game (currently going for $5 on Steam) with the graphics redone is now worth $40, plus another $20 for the DLC variety map pack? Are people actually planning on *paying*?? ?